Growing pine trees from seed that you get from a pine cone isn’t an easy project. Not all seeds are viable, and even those that are sometimes will not germinate. Some types of pine tree seeds take much longer to germinate than others. Overall, it is a project that takes time and patience. 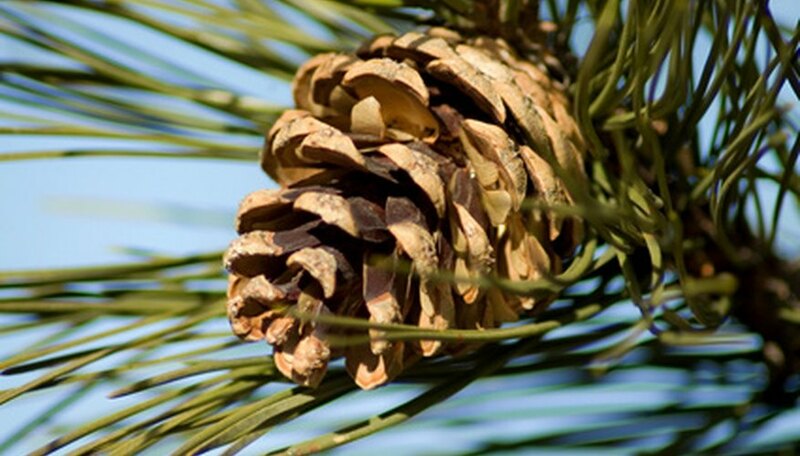 The best time to collect your pine cones is in August and September, when the cones are falling from the trees. Fill a bowl with water and place the pine cone seeds in the water. Remove the sinkers, as they are not viable seeds. Allow the floaters to remain in the water for two days, changing the water after the first 24 hours. Fill the plastic bag with moist sand, push the seeds into the sand and loosely tie the bag. This process is known as stratification. The seeds should remain here for 60 days, unless you are growing Ponderosa pine, which requires 30 days stratification. Jack pine seeds do not require stratification. Plant the seeds immediately after stratification. To do this, fill the planting pots with sand and sphagnum peat moss. Water the medium well and allow it to drain completely. Push the seeds 1/4 inch into the soil, 8 inches apart. Place the pots in a sunny area and keep the soil moist, but not soggy. Stop watering when the seedlings emerge, which should occur within 20 to 30 days. Water only when the area around the roots is dry. Gently poke your finger into the soil to test for moisture. Transplant the saplings when they are over 6 inches tall. This may take from two to three years. Germination time will vary depending upon the variety of seed you are planting. It is not necessary to remove the wings from the seeds before planting. If you want to remove them, rub the seed gently between your hands.